A truly beautiful set of 4 Gorjuss notebooks, each depicting a season through Spring, Summer, Autumn and Winter. 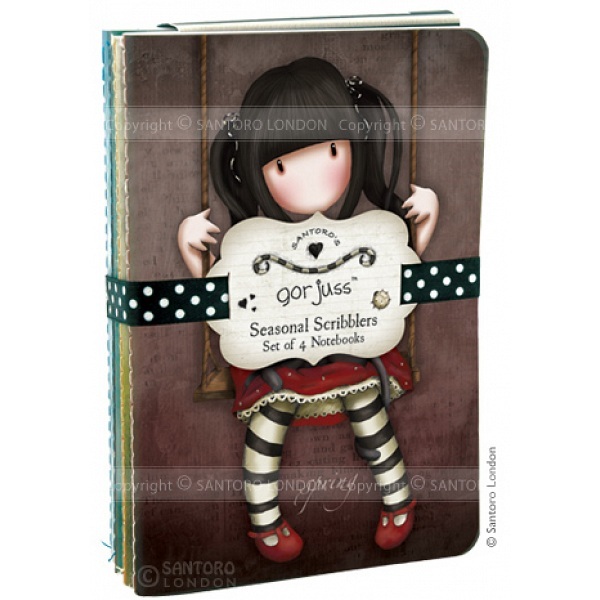 Please note - Santoro London watermarks are present only on product photography and not on actual items. 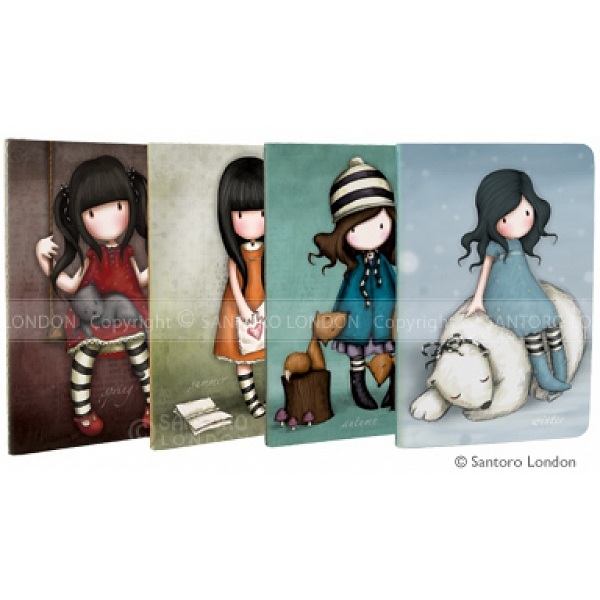 They are intended to protect the unique and amazing designs produced by artists under license to Santoro London.